Georgia employers hate on-the-job injuries because their insurance premiums will go up and they may experience a loss of productivity caused by your absence. Even if you are a long-time employee who has been recognized for superior performance, your employer may turn nasty and uncooperative if you file a work injury claim. You have an obligation to your family and your financial well-being to demand that your employer provide you medical care and lost wage payments following your work injury. 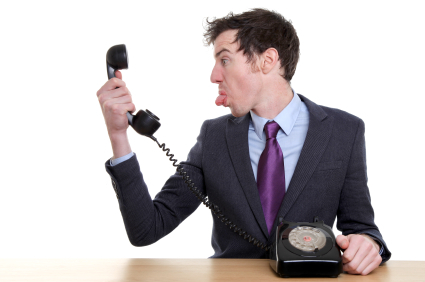 If your employer’s representative is not calling you back, it may mean that they do not intend to cooperate with you. This is a clear signal that you need to hire a lawyer like Jodi Ginsberg who is looking out for your best interest. I frequently get phone calls from recently injured workers who are becoming frustrated with what appears to be an intentional delay and runaround from the insurance company. Does this sound familiar to you? You sense of uneasiness is completely justified and reasonable. If you have never had any involvement with the Georgia worker’s compensation system, you should expect to face some new realities. First, you should understand that employers and their insurance companies do not like workers’ compensation claims. My first lawyer job out of law school was for a firm that defended employers and insurance companies so I have first hand knowledge about how insurance adjusters approach cases. Many workers compensation adjustors believe that every claim is fraudulent and that even if you were legitimately hurt on the job, you are probably exaggerating your symptoms. Insurance adjustors are especially suspicious about claims filed by new employees and they will fight especially hard against an injury claim filed by an employee who has only been the job for a few weeks. Not surprisingly, therefore, the most difficult cases involve new employees, claims that are made a long time after the injury date, claims made after an employee is fired, and claims arising from unwitnessed accidents. Adjustors and some employers believe that if they ignore you, you will become frustrated and just go away. Or they hope that you will not know how to report your claim and that the 30 day statute of limitation will pass. This is why some injured workers find that they hear nothing and their calls are not returned after they report an accident. Similarly, it is not uncommon for your company to completely change its attitude towards you when you file a workers’ comp. claim. You should realize that in many cases, once you have filed a comp claim, your employer and their insurer see you as a liability – their goal is to get you released back to work then to terminate you as soon as possible afterwards, or to settle your case for as little as possible and to get you to resign from your job.